Ya i know now a days its not really the city of tomorrow but still i mean ITS AWESOME. With the exception of Stitches great escape it has great attractions. Ya it could pry use one more big attraction but hey thats for tomorrow not today. Second was liberty square and third was a tie between frontierland/adventureland. On a side note i got the list of my 50 characters done last night. It is saved on Google Docs so you can see when i update it. I will be putting the bucket list on there and also a list of Fastpasses im collecting on Google Docs so you can view those too. Here is the link to the character list. adventureland!!! then frontierland then tomorrowland... Pirates, jungle cruise, tiki room, and a treehouse. 2nd haunted mansion should be #1, after the new queue line most likely back to #1. 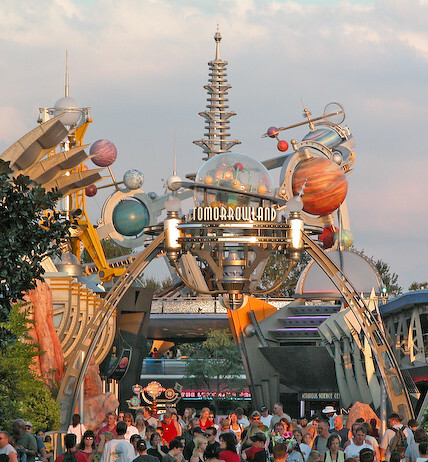 3rd buzz, laugh floor, carousel, TTA, space mnt. : yes but stitch brings it down too 3.